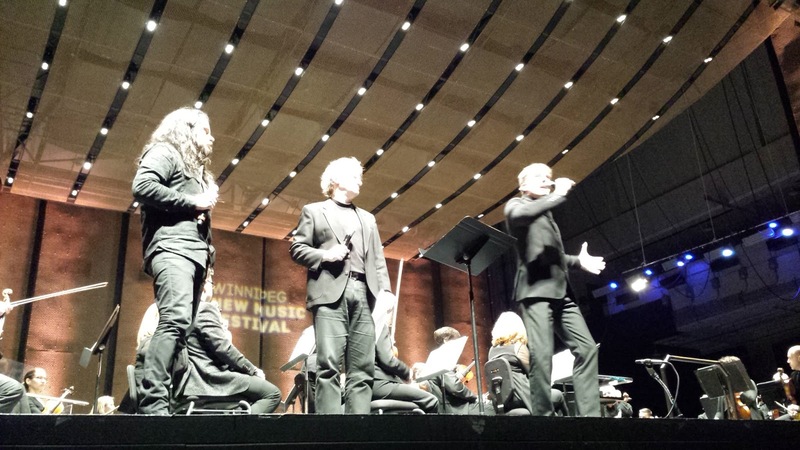 Composer Stephen O'Malley, composer/curator Matthew Patton, and conductor Alexander Mickelthwate introductions before performance by Winnipeg Symphony Orchestra of world premiere commission by Stephen O'Malley "Un Vide Dans Le Ciel"on evening entitled The Slowing of Experience, January 29, 2016 WSO New Music Festival. Composer/Curator Matthew Patton introducing Mikolaj Gorecki before performance by Winnipeg Symphony Orchestra of Canadian premiere of Henryk Gorecki's "Symphony No. 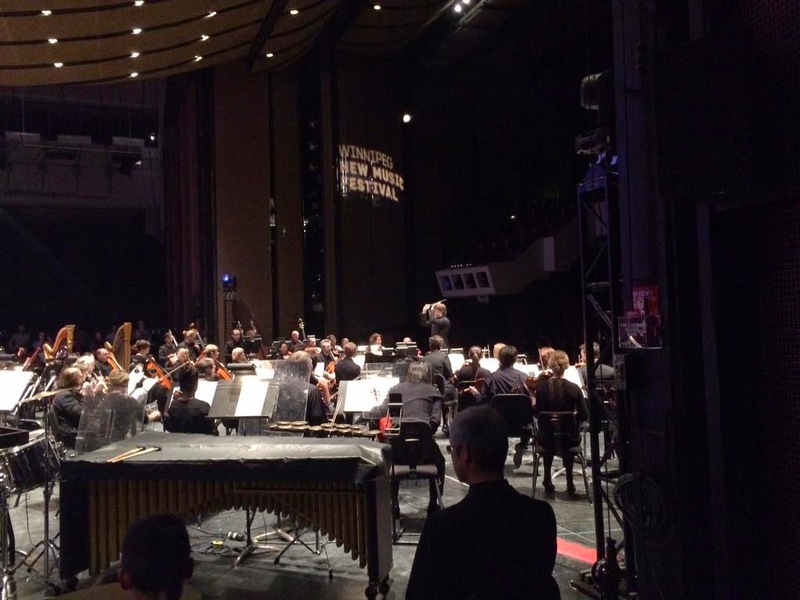 4" on evening entitled The Slowing of Experience, January 29, 2016 WSO New Music Festival. 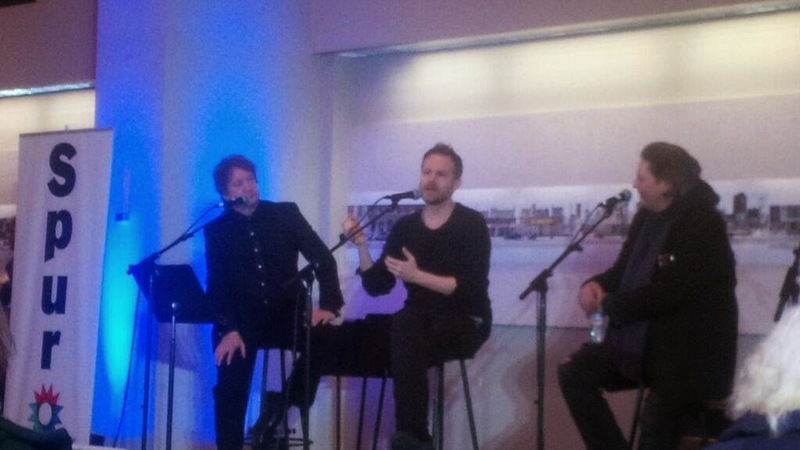 Conductor Alexander Mickelthwate with composers Mikolaj Gorecki, Matthew Patton and Stephen O'Malley at pre-concert panel on Mysticism and Drone before performances by Winnipeg Symphony Orchestra of Canadian premiere of Henryk Gorecki's "Symphony No. 4" and world premiere commission by Stephen O'Malley "Un Vide Dans Le Ciel"on evening entitled The Slowing of Experience, January 29, 2016 WSO New Music Festival. 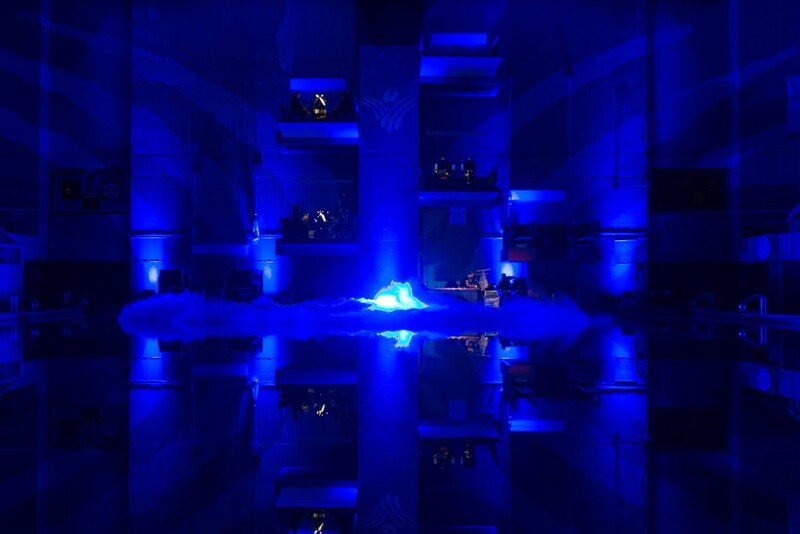 World premiere of "Afterlife Mutilation" by Matthew Patton performed alongside "The Sinking of the Titanic" by Gavin Bryars at Pan Am Pool on evening entitled Music and Trauma, January 28, 2016 WSO New Music Festival. 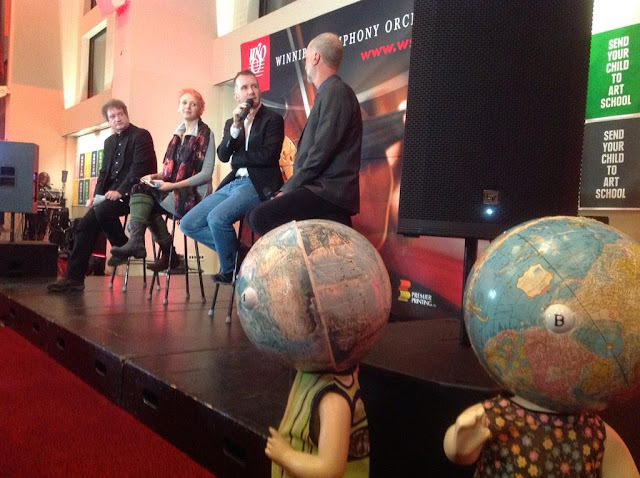 Composer Matthew Patton, vocalist Sarah Kirsch, New Yorker music critic Alex Ross, composer John Luther Adams, at pre-concert panel before Canadian premiere performance by Winnipeg Symphony Orchestra of Adams' "Become Ocean", February 6, 2015 WSO New Music Festival. Art installation of Little girls/Globe heads by artist Neil Farber. "470 Million Years of Quiet (for James Tenney)" by Matthew Patton. 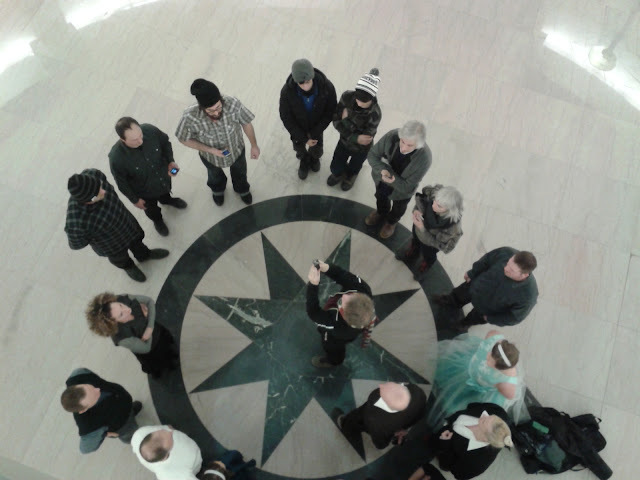 World premiere February 4, 2015 by Winnipeg Symphony Orchestra at Winnipeg New Music Festival. 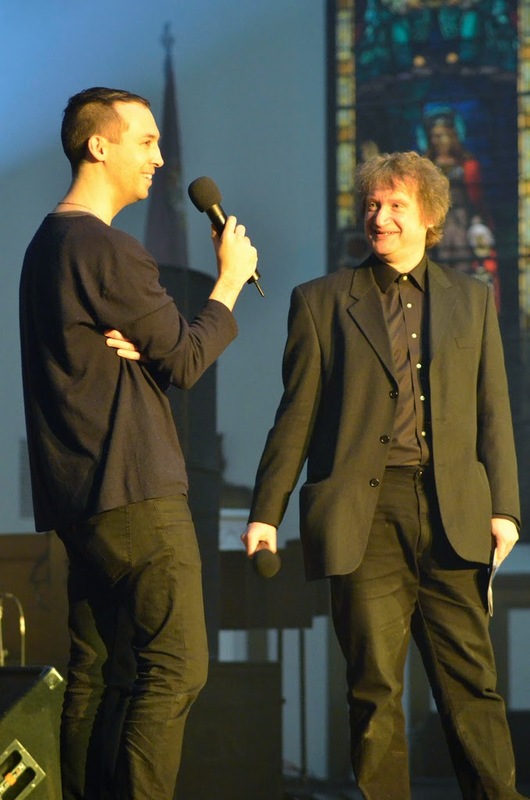 Performed alongside works by Georg Friedrich Haas and others on an evening dedicated to the life, music, and influence of composer James Tenney. 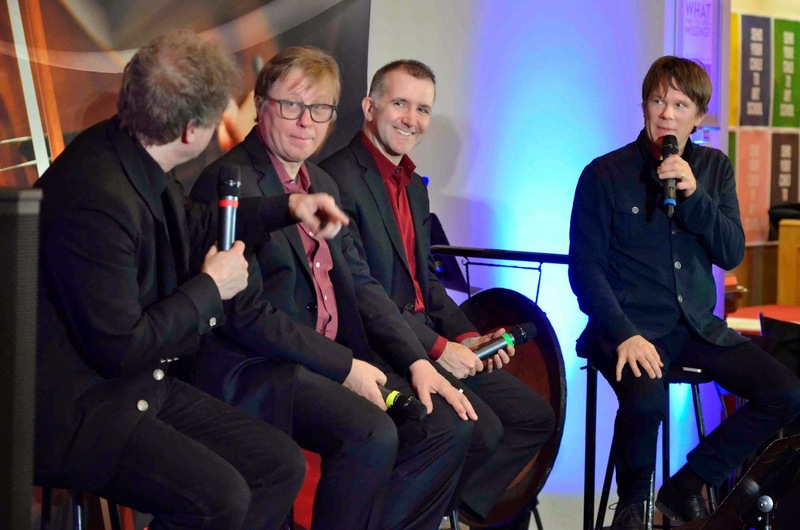 Composer Matthew Patton, composer Georg Friedrich Haas, New Yorker music critic Alex Ross, conductor Alexander Mickelthwate at pre-concert panel on composer James Tenney before performances by Winnipeg Symphony Orchestra of works by Patton and Haas on an evening dedicated to the life, music, and influence of composer James Tenney, February 4, 2015 WSO New Music Festival. The Apollo Project by Brian Eno, Daniel Lanois, and Roger Eno. "An Ending (Ascent)" by Brian Eno. Original arrangement by Woojun Lee. 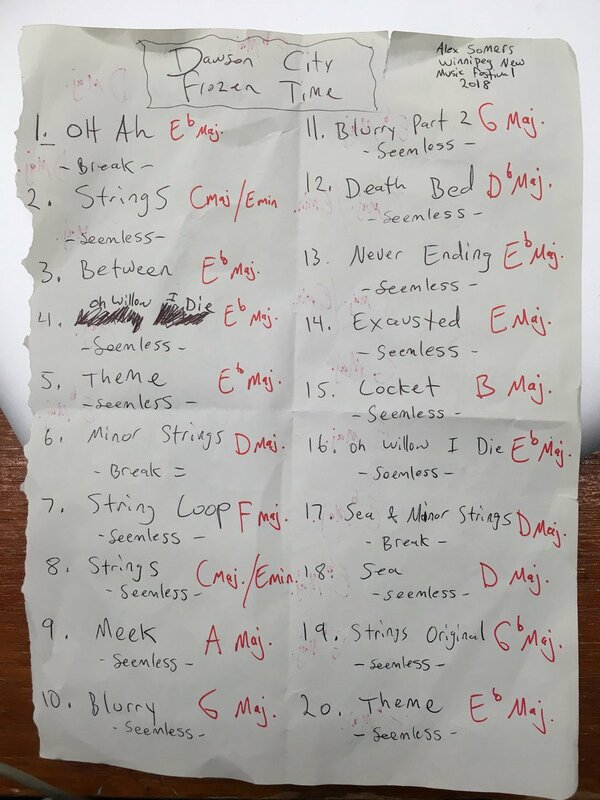 Recomposed by and arrangement of the arrangement by Matthew Patton. Dedicated to Douglas Rain, the great and mythical Winnipeg actor, voice of the HAL 9000 computer in Stanley Kubrick's "2001: A Space Odyssey". 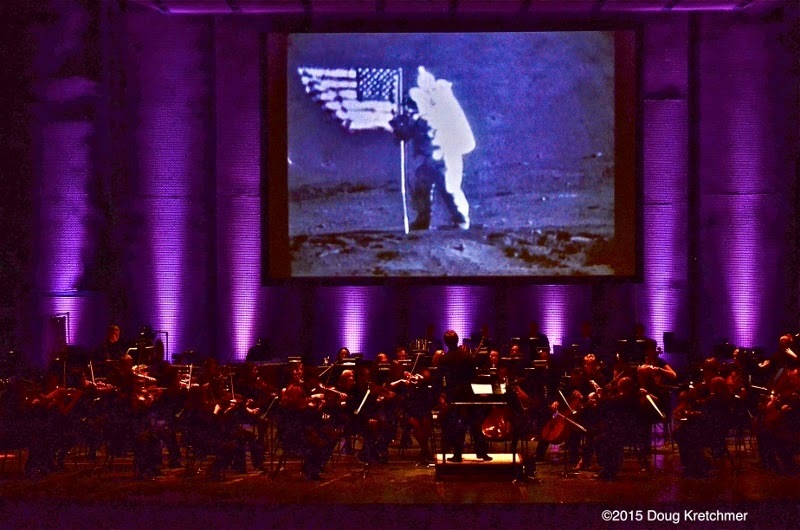 World premiere February 3, 2015 by Winnipeg Symphony Orchestra at Winnipeg New Music Festival. 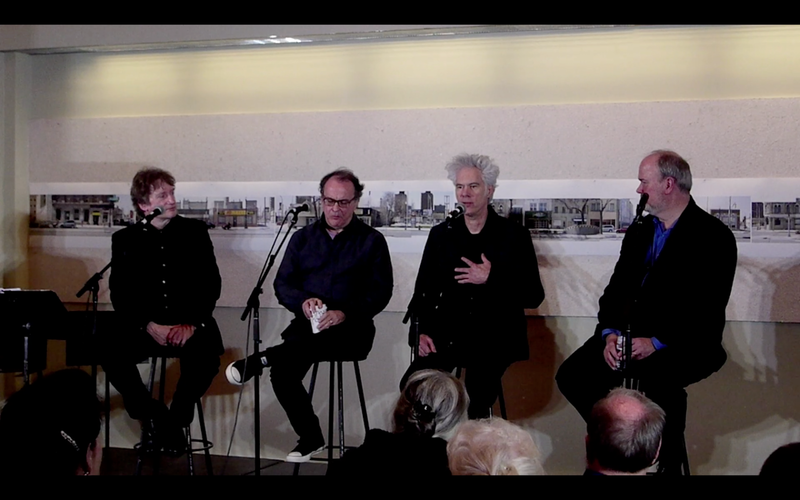 Composer Matthew Patton, composer Phil Kline, film director Jim Jarmusch, and Nikola Tesla biographer Bernard Carlson at pre-concert panel before performance of "Tesla in New York" opera with the Hilliard Ensemble, orchestra, choir, with Jim Jarmusch and Phil Kline drone guitars, 2014 WSO New Music Festival. 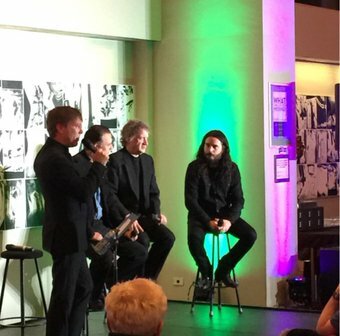 Composers Matthew Patton, Valgeir Sigurdsson, and Glenn Branca at pre-concert talk before premieres of "Eighteen Hundred and Seventy-Five" by Valgeir Sigurdsson and "Symphony No. 14; First Movement", "Free Form", and "Symphony No. 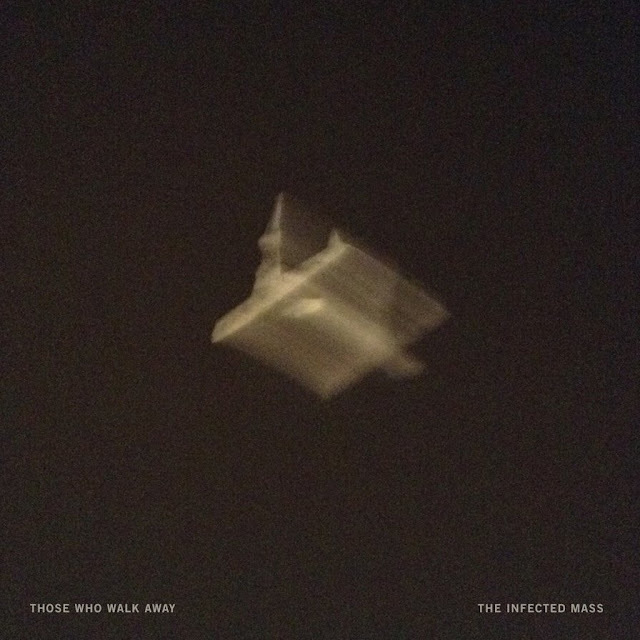 11" by Glenn Branca, 2014 WSO New Music Festival. 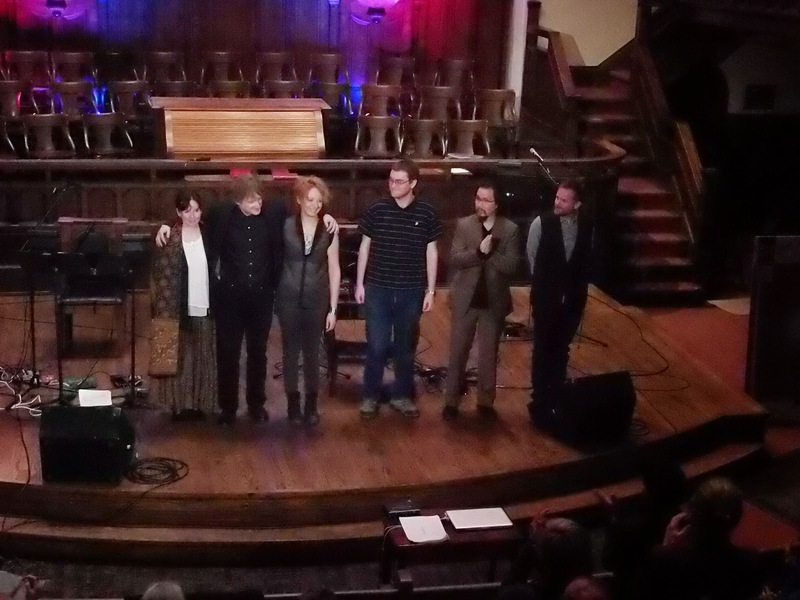 Composer/vocals Jessika Kenney, composer Matthew Patton, vocals Sarah Kirsch, electronics Zach Bales, composer/viola Eyvind Kang, and composer/keyboards/electronics Valgeir Sigurdsson after premiere performance of new works at 2014 WSO New Music Festival. "Untitled (Red #3)" by Serbian/US director Nikola Tamindzic, music by Matthew Patton. Tamindzic's work has been profiled in the New York Times, Village Voice, The British Journal of Photography, Photo, and Vanity Fair. In 2013 a new production of "Speaking in Tongues" premiered at the David H. Koch Opera House at Lincoln Center in New York. 2011 Performa Arts Lincoln Center New York production of "Tales from the Gimli Hospital; Reframed" with film director Guy Maddin. Music score performed by María Huld Markan Sigfúsdóttir (violin, voice), Gyda Valtysdottir (cello, voice), Kristin Anna Valtysdottir (narration, keyboards, guitar, voice), Borgar Magnason (double bass), Paul Corley (live music processing and sound design), and Aono Jikken Ensemble (foley sound design). 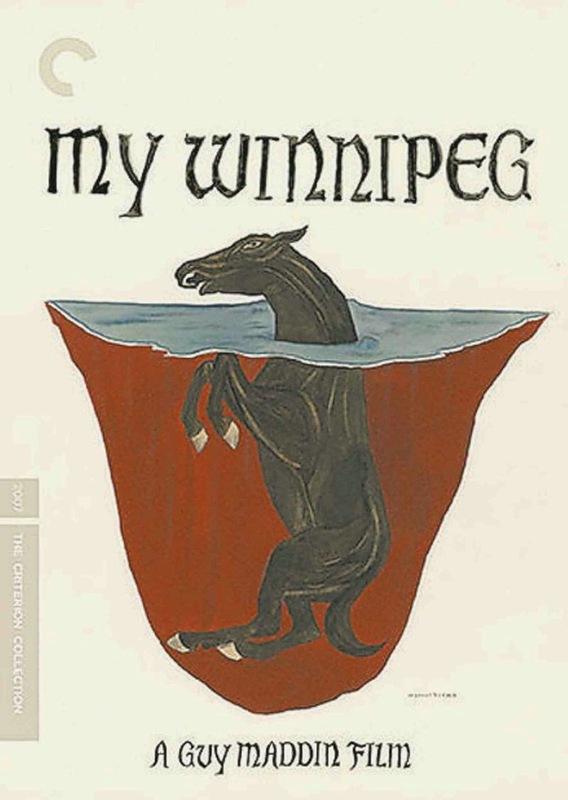 National Arts Centre of Canada production of "Tales from the Gimli Hospital; Reframed" with film director Guy Maddin and Udo Kier (narrator). Music score performed by María Huld Markan Sigfúsdóttir (violin, voice), Ingrid Karlsdottir (violin, voice), Edda Run Olafsdottir (viola, voice), Hildur Gudnadottir (cello, voice), Gyda Valtysdottir (cello, voice), Kristin Anna Valtysdottir (keyboards, voice), Scott Chancey (viola), Hilda Cowie (double bass), Paul Corley (music programming and sound design), Dan Bora (live music engineer), Christian Rutledge (live music engineer), and Aono Jikken Ensemble (foley sound design). 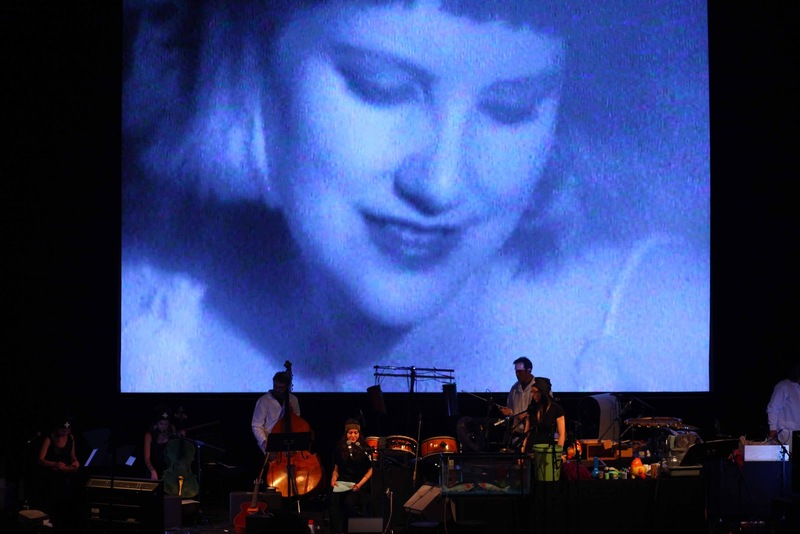 "Spanky to the Pier and Back" by director Guy Maddin with music written and recorded by Matthew Patton for the "My Winnipeg" DVD release. 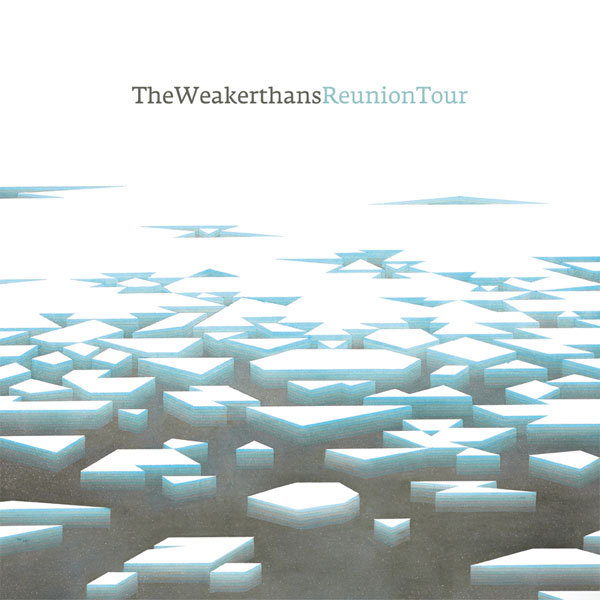 John K. Samson and the Weakerthans have written and recorded "Hymn of the Medical Oddity" for the David Reimer Project. "Speaking in Tongues" has been released by Warner Brothers label Nonesuch Records. 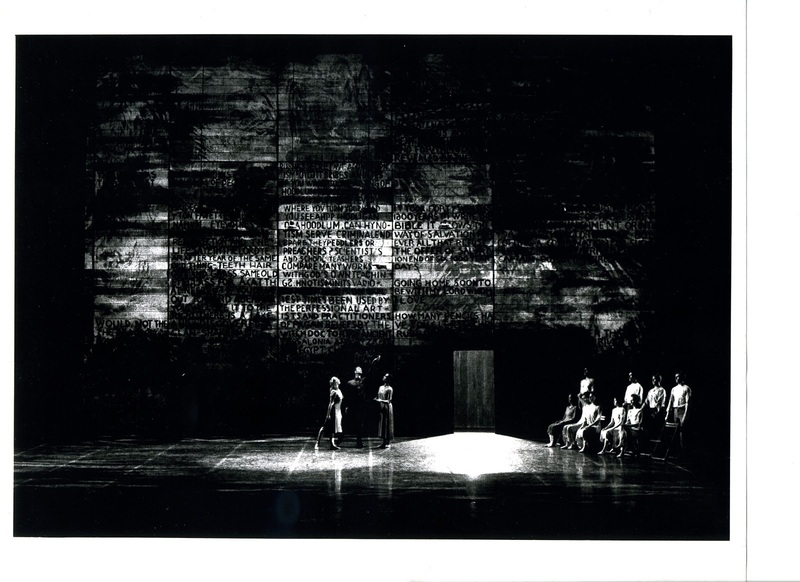 Paris Opera House production of "Speaking in Tongues"
"Speaking in Tongues" is a large scale collaboration with American choreographer Paul Taylor (“the greatest choreographer alive... one of the few living artists who have made classics by which our age should be remembered", New York Times) in which Matthew Patton wrote, arranged, performed, and produced the music score. The work has been mounted in new productions at the Paris Opera House produced by Mikhail Baryshnikov, the La Scala Opera House in Milan, Italy, Kennedy Center in Washington, D.C., San Francisco Opera House, and other major international venues. It has been called "a masterpiece for our time" by the New York Times, been filmed for PBS "Great Performances", won an Emmy Award for Outstanding Artistic Achievement, been released by Warner Brothers label Nonesuch Records, and in 2013 a new production premiered at the David H. Koch Opera House at Lincoln Center in New York.